We are proud to announce that SY Copihue is back again for her second refit. After being refitted last year she now returns – after crossing the Atlantic from the Caribbean – for the entire Winter period. 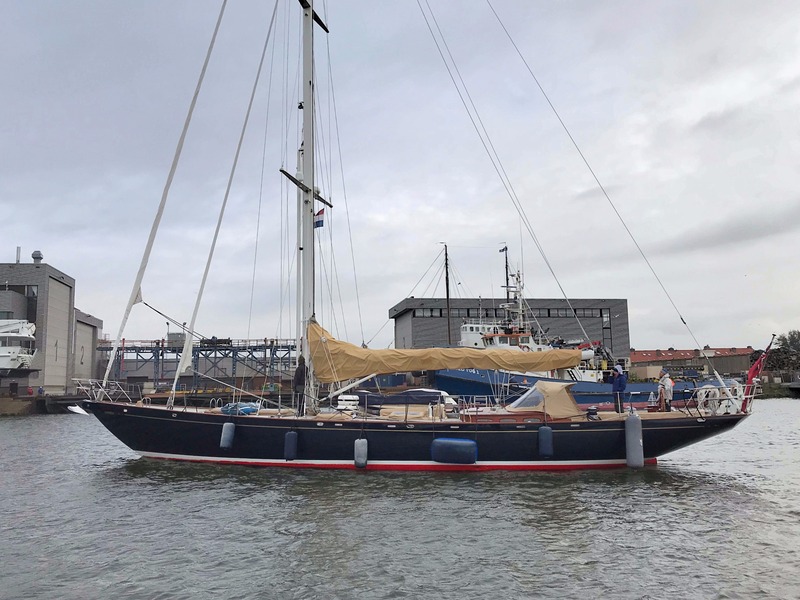 SY Copihue is a 74ft Andre Hoek designed sloop and was built in 1997 by Claasen Shipyards. She is capable of carrying up to 7 guests in 4 cabins (1 master suite / 2 twin cabins / 1 single cabin) and next to that 3 crew can stay onboard to ensure a memorable and luxurious yachting experience. Her sophisticated exterior and timeless interior makes her a fine example of pure classiness. After some great experiences during the refit period in 2016, Copihue’s Owner did some extensive cruising in the Caribbean. Decided was to come back again for the next step in her refit. What the refit will consist of is not completely clear yet, but will follow soon. Copihue’s last year’s refit consisted of completely new teak decks, a sandblasted and fully painted hull and underwater ship, a re-done engine room with a new Perkins main engine as well as a new generator with bigger capacity, a fully paint job of the mast and all standing and running rigging have been overhauled as well as the booms and spars.